I was born in 1921 in Bialystok, Poland. My memory goes back to 1924. My parents sent me to nursery school; it was a help to my mother, who had given birth to my younger brother, and was not well physically.. I was a very independent child even then. Outside the school there was a beautiful park, and on this particular day the teacher lined up all the children for a walk in the park. Each child was assigned a buddy. My buddy was an ugly little boy. His hand was slimy and we had to hold hands. I dropped his hand and ran off like lightning. My home wasn't far away and I had no trouble getting there. The teacher sent her assistant to find me. I refused to go back unless I had a partner that I could chose. From that day on I was treated as a VIP. One day my mother took me to a little store to buy material so she could sew a new dress for me. We had to go down five steps to the entrance. In the store my mother was busy talking to the salesperson and it seemed to take forever. After a while a woman took my hand and walked me out of the store up the stairs to the sidewalk. All this time I thought it was my mother. Suddenly there was a woman shrieking and chasing us. This was my mother. She tore my hand out of the woman's hand and ran back to the store with me. The police were called, but the woman was long gone. After that little episode, I never took anyone's hand before making sure whose it was. When I was four years old, my uncle Benn was playing with me in the backyard. He chased me and I ran into a board that bounced back and hit me in the jaw. My jaw gushed open and I lost a couple of teeth. I had to have the jaw taken care of at the hospital. I still have a scar from this experience. I was fortunate that the teeth were still my baby teeth. Several months later while playing in the yard, I witnessed the most horrible tragedy. Bialystok had been the largest industrial city in Poland, and not far from the yard was a huge factory that employed many people. A fire suddenly seemed to come into view, and I noticed that the whole building was in flames. People were jumping out the windows to their death. It must have been a wooden building because the firemen couldn't control the fire. This tragic event has been forever engraved in my memory. So many people perished in the fire and the building had burnt to the ground. To witness this and not be able to help was the most devastating experience that anyone could ever imagine. My father left for Montreal in 1927 when I was five and a half years old and my brother was two and a half. He was finding the situation in Europe very unsettling. He wanted more than anything to make a good home for his wife and children in Canada. He worked day and night to make enough money to be able to send for us. In Europe we always lived with my grandparents, my mother's family. My grandmother Esther was a very beautiful woman. Her marriage had been prearranged when she was very young, as this was the custom at that time. She gave birth to a son named Velvel after being married for one year. But she couldn't live with the man she had married. Although divorce was very rare at the time she was able to get a divorce, as her life had become intolerable. She was so very young and, of course, living with her parents. One day a young Solomon Rabinovitch came to the door to see Esther's father. Esther opened the door, and when Solomon saw her he fell in love with this beautiful girl. Since marriages had to be arranged by a matchmaker, Solomon went to see the matchmaker, who then went to see Esther's father and had the wedding arranged. Esther gave birth to six more children after Velvel: Anna, Shifrie, Sima (my mother), Sarah, Benn, and Chai. Each child was very beautiful. My mother had blue eyes and blond hair like her mother. Sarah is the only one still living. Velvel, the eldest, died in Israel at the age of ninety-three. I had the privilege of seeing him the first time I visited Israel, just before he died. His son Meyer had taken me to the hospital where he had been under care for quite some time. Velvel was an accountant in Bialystok and everyone had a great deal of respect for him. He was a wonderful person, and I became truly inspired when I met him. He told me that there wasn't another human being as good and as kind as my dad was. 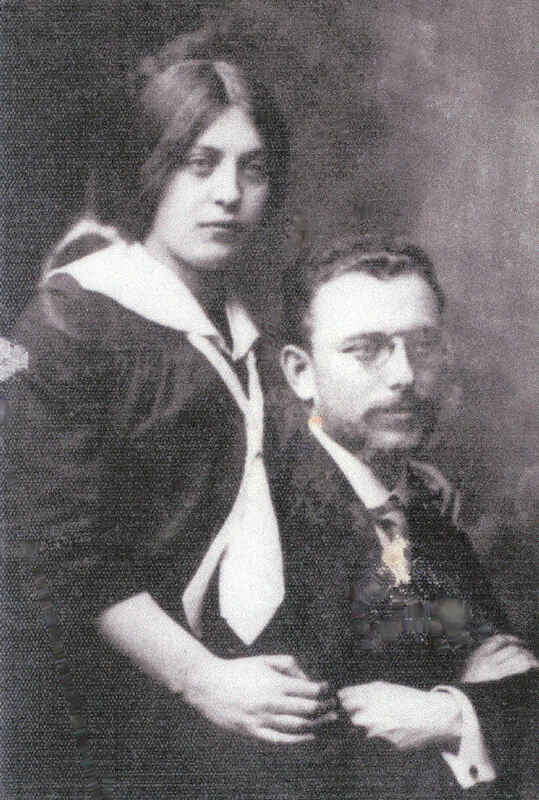 Velvel had lived in Bialystok most of his life, but after his wife's death he and his children immigrated to Israel. His daughter Sipora was the eldest. 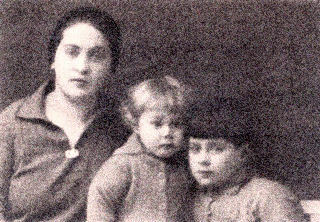 His son Meyer had two daughters; Sipora had two sons. So Velvel was very happy to have his two children and grandchildren, who were born in Israel, living close by. 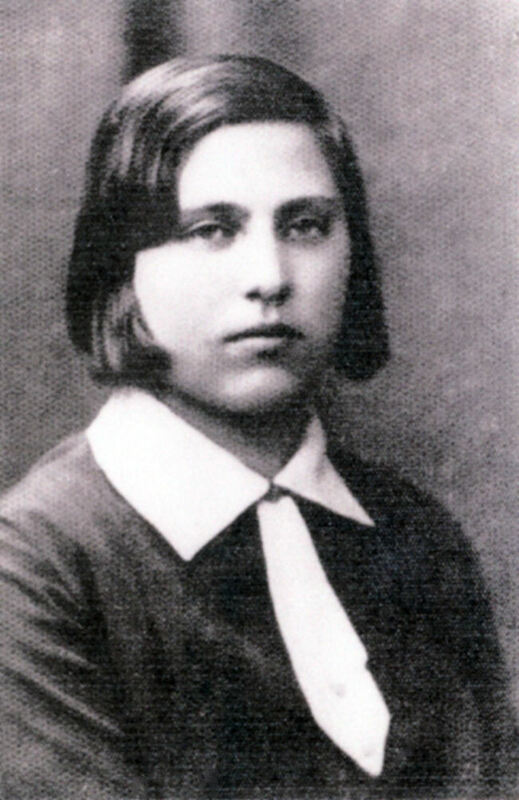 My mother's eldest sister Anna left for New York when she was still a young girl. She married in New York and had three children, one girl and two boys. Anna had gone back to school in New York and graduated from a university with honors. Shifrie and family came to Montreal the same year as my father. She gave birth to four children. 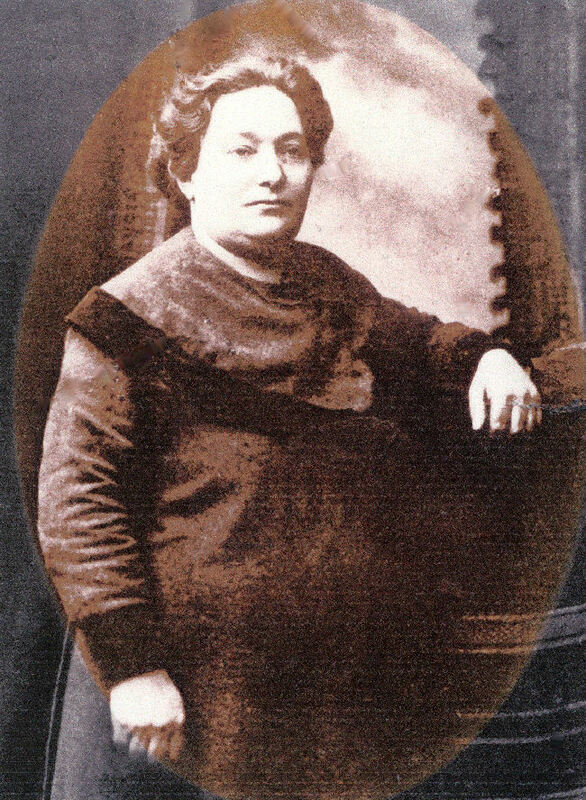 The eldest, a son, was born in Bialystok, as well as a set of twin boys. Much later she gave birth to a little girl who was born in Montreal. 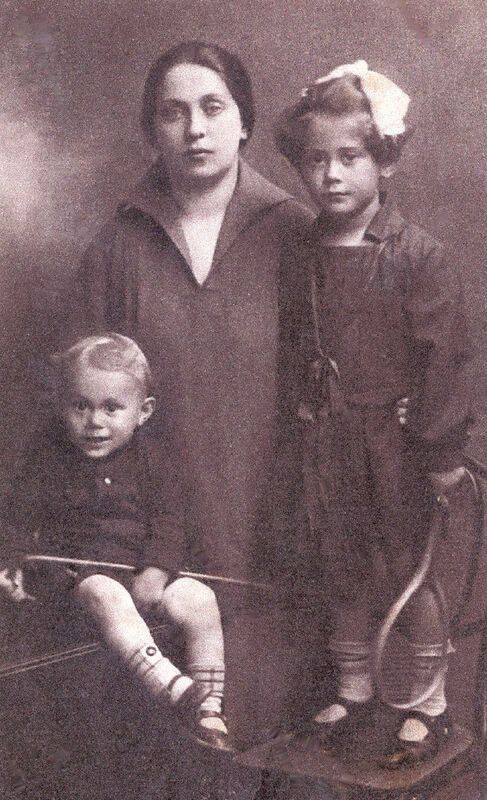 My mother Sima gave birth to two children who were born in Bialystok. Before I was born my mother had a miscarriage; it would have been a boy. My brother Nathan was born three years after me. Sarah, who had immigrated to Canada with Shifrie and family, as well as my father, married in Montreal and gave birth to a son, her only child. Sarah, her son and family live in Ottawa. Benn, a world-famous artist, never had children. He lived in Paris since the age of sixteen. 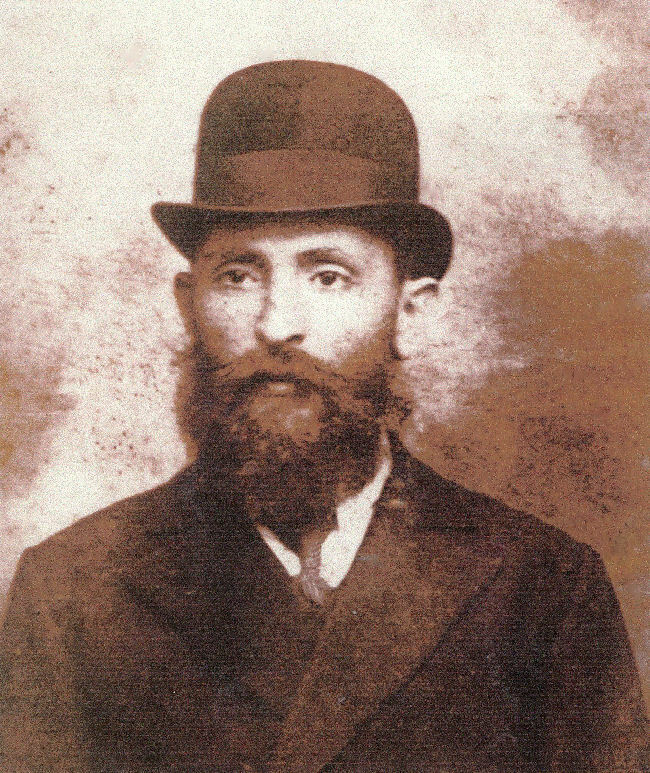 He was the only Jewish person in Poland ever to receive a scholarship in art. He painted since the age of three. He was married to Ghera. He was so very talented and such a beautiful person. Chai, the youngest, was married and had a little boy. 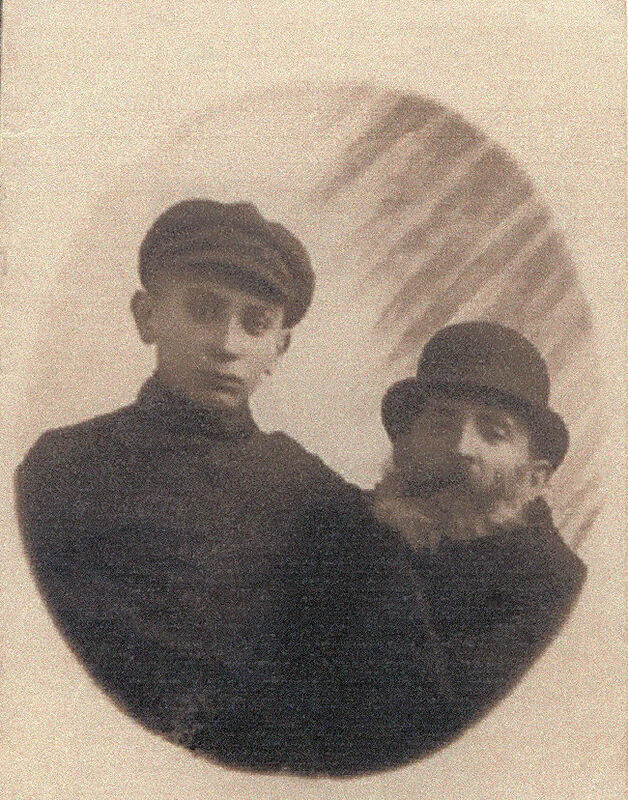 My grandfather Solomon Rabinovitch (pictured left) built the Great Synagogue, which took four years to build, from 1909 until its completion in 1913. The synagogue, located on Suraska Street, was topped by a large dome with a spire of ten meters, with two smaller symmetrical domes atop its two side halls. The Germans occupied Bialystok in June 1941. They immediately burned down portions of the Jewish neighborhood, including the Great Synagogue. 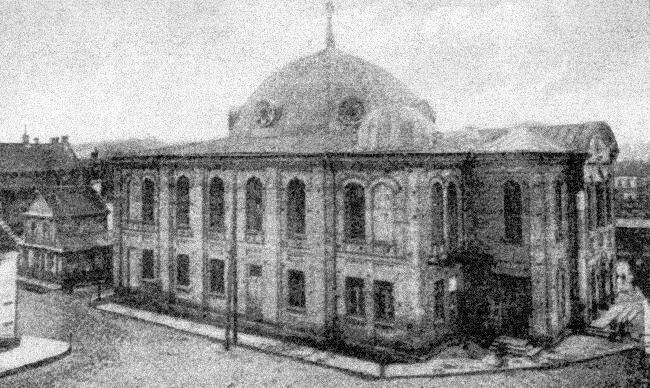 On June 27, the Germans locked 1,500 Jews inside the synagogue and burned them alive, the synagogue being burnt to the ground with all the people inside. A memorial plaque to the 1,500 Jews who were burned alive, as well as the reconstruction of the wrecked Great Synagogue dome, was dedicated in August 1995. On August 1, 1941, the Germans created a fence around the ghetto. On November 2, 1942, they liquidated all the Jewish ghettos in Bialystok province, except for the ghetto in Bialystok itself. About 100,000 people from the Bialystok region were transferred to the death camps in Treblinka, Majdanek and Oswiecim, where they were all killed. On August 16, 1943, an uprising took place in the Jewish ghetto of Bialystok. The last trainload of Jews were sent to Majdanek. On November 3, the Nazis murdered the remaining 20,000 Jews of Bialystok. My grandparents Solomon and Ester Rabinovitch and my aunt Chai, along with her husband and child, all perished in the Holocaust. How well I remember my Auntie Chai, who was like a sister to me. She always played with me, and she taught me many songs. Also, my grandmother had a little grocery store. My Auntie Chai couldn't stand the smell of herring, so when anyone came into the store to purchase herring, she would put a little stool close to the barrel and had me take out the herring. I was so young, but this made me feel so very grown up, and I was happy to be of help. My father's family had immigrated to Israel after my grandfather Yankel Markus had died. My father had come from a very affluent family. They owned a textile mill in Bialystok and employed many people. At the time, most Jews were not accepted into the universities; however, my father as well as his brothers and sisters all received university degrees. 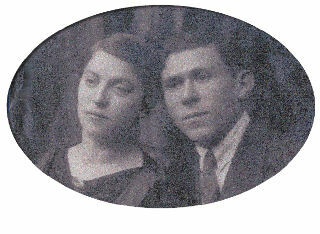 My father's parents Yetta and Yankel Markus had three daughters and four sons; all were professionals. My father also got a diploma for the Rabbinate at the Yeshiva, but he never practiced his profession as he was needed in business. My father had tried desperately to bring my mother's family to Canada, but it is so very unfortunate that they refused to leave Bialystok. How sad it was that they could not be saved. My father was heartbroken; he had done everything in his power to save the rest of my mother's family. My father had a most beautiful voice and everyone just loved being in his company. He loved and worried about everyone. People always told me that it had been a pleasure to know him. He and my mother had met while singing in the same choir. They both enjoyed singing very much. They fell in love and married at the age of nineteen. There was no matchmaker. After my father left for Canada, my mother, brother and I still lived with my mother's family. My grandfather Solomon Rabinovitch was an architect. He worked on plans for the city of Bialystok. 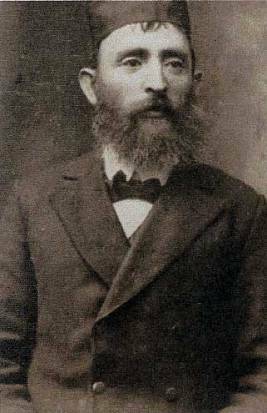 He also built the Great Synagogue in Bialystok as well as the Jewish cemetery. To me he was the most beautiful human being who ever lived. He had a beard and always wore a Derby hat. It seemed to me that he was always working at his large desk. On top of the desk there was a board with all his material on top; everything was neat. There was also a small leather cot with a hump on the top, like a pillow, which was close to a window. The room was small, but everything was in its place. The only time he would leave his desk was when he went to synagogue. He would always return home minus a coat, scarf, sweater, etc. When my grandmother questioned him, he would always let her know about an unfortunate man who was cold and hungry. Of course, my grandparents always invited people for the Sabbath meals, as so many people had nowhere else to go. Now I'd like to go back to his workshop. Whenever he would leave the room, I would empty the large board, place it on the hump of the cot, and go sliding down the board. It was great fun. My grandfather must have been exasperated. He would have to replace all his papers and plans back on the board and start all over again. Yet he never scolded me. I loved him so very much--he was the world to me. His head was always lowered as he was doing his work. I would climb on the back of his chair and hug his neck with all my strength and kiss his face on both sides. I must have been four years old at the time. When there was a little bell sounding outside, it was the ice cream man. My grandfather would give me two cents to buy ice cream. This was a little ice cream sandwich and a real treat. It was called a "marogine". The money was in grochen, and the cost was two grochen, which I had imagined to be pennies then. After my father had immigrated to Canada, he worked day and night to save enough money to send visas to my mother, brother and me. When my mother received the visas one year later, we were so happy to finally join my father in Montreal. However, when we got to Warsaw we were sent back to Bialystok because I had become very sick and we had to wait until I was well again. 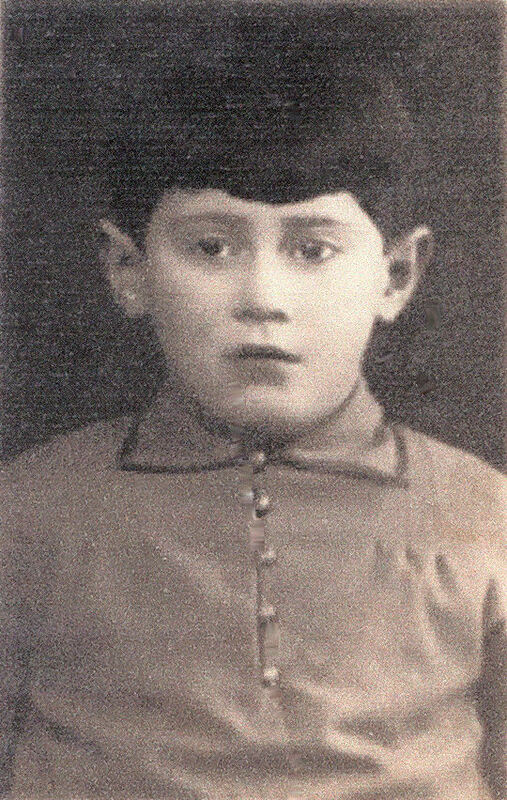 We arrived in Bialystok shortly before my grandfather Yankel died. It was a Friday night; my mother had lit the candles and gone to visit her father-in-law. As I sat watching the Sabbath candles, I knew the exact moment that my grandfather died. I was so sad and waited anxiously for my mother. Three months after I had been prevented from leaving Bialystok, we were finally able to set out for Canada. While crossing the ocean my mother became very ill and couldn't leave the infirmary. I took care of my little brother who was quite a handful. The nurses were very kind to me. They could understand how difficult it was for a little girl to have all that responsibility. They took us up to the first class area, to the most beautiful playgrounds I had ever seen. I felt very privileged indeed. We had a wonderful time playing with the other children. It was a huge area with all kinds of apparatus. We were allowed to use the playgrounds for the duration of the trip.